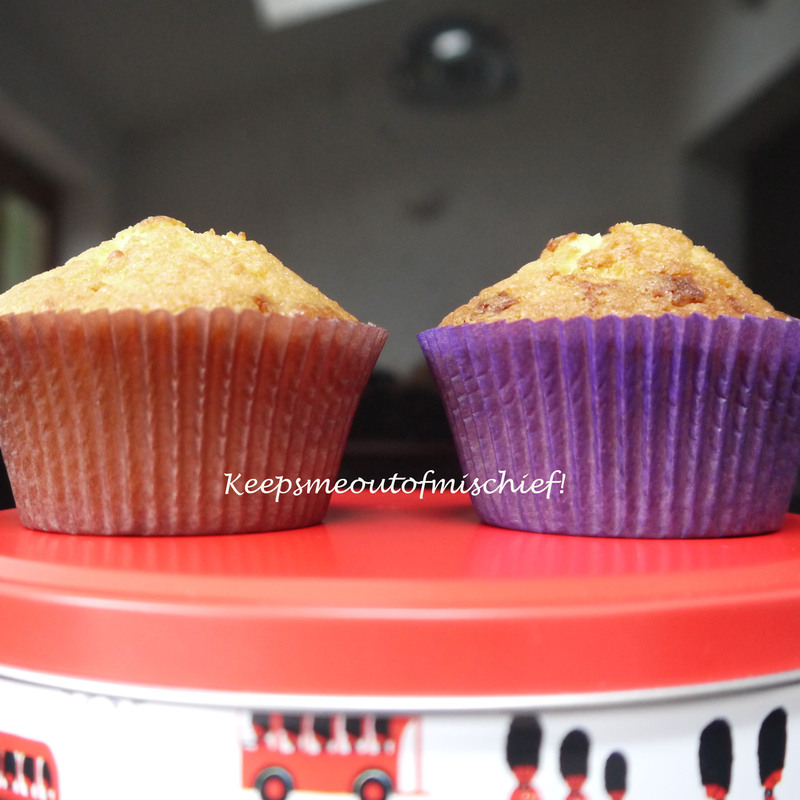 White Chocolate and Cherry Cupcakes | Keeps Me Out Of Mischief! Sometimes you make something that you don’t really feel like eating. This very rarely happens to me; especially when it comes to cakes but this was more to do with what they looked like than what they tasted like. Not that there was anything wrong with how they tasted but it was down to the brown cupcake cases. I don’t know why, but they just put me off. I having a mega clear out of everything I own in the process of packing ready for our move but I can’t bring myself to throw things out that I can actually use, hence the brown cupcake cases and another slightly random ingredient combination as I clear out the baking cupboard! 175g butter, 175g caster sugar, 3 medium eggs, 150g self raising flour, 60g chopped glace cherries and 50g grated white chocolate. Preheat the oven to 190°C/ 375°F and line a muffin tray with 12 cases. Cream together the butter and caster sugar, add the eggs gradually and mix until well combined. Fold in the flour and mix in the cherries and chocolate. Place the mixture in the paper cases and bake for about 20 minutes or until a skewer inserted into the middle comes out clean.